As you may know, over the past few years I have added to my astrology practice by joining my wife Carolyn in a college counseling practice: East West College Counseling LLP. 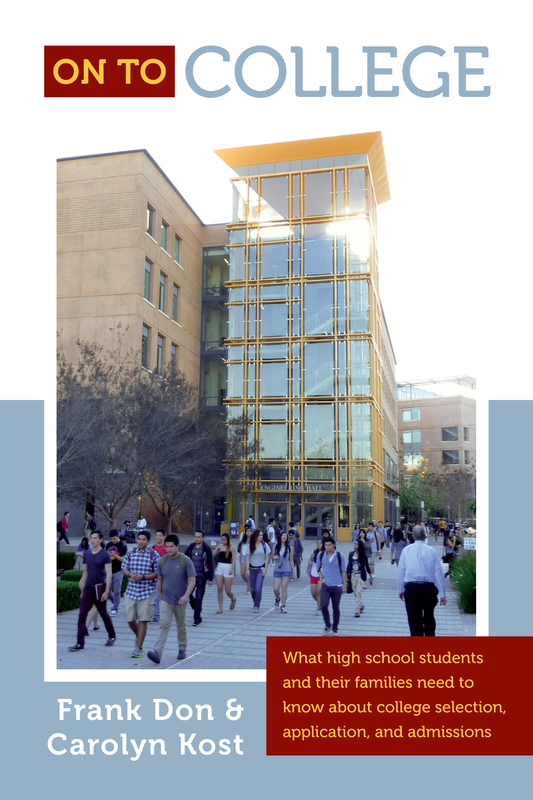 And now my wife and I have published a book On To College: What high school students and their families need to know about college selection, application, and admissions. 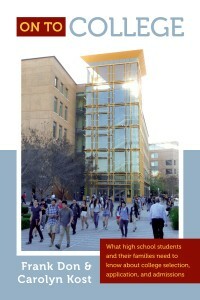 On to College provides a compendium of information rarely covered by other college admissions books. Higher education has many issues to address for the present and in the future — questions related to college costs and affordability, security and safety of the college students and the liability of the college itself, the transition of college education into the Information Age and the matter of MOOCs [Massive Open Online Courses] and the challenge presented in 2010 by Bill Gates for an undergraduate degree to cost $10,000. These are exciting times, and exciting times in higher education. While over the years parents and their high school students have consulted me through astrology regarding the student’s college selection choice, my wife encouraged me to get involved with her with her college counseling practice. In California, she was both an independent educational consultant and a college counselor at the Stevenson School in Pebble Beach. Initially, my involvement with her college counseling occurred on our vacations. It seemed that on every ‘vacation’, we would add on a college tour or tours. While living in California, we would often take short jaunts up to Portland, Seattle or Vancouver. Each trip would include a college tour or tours. Driving from Seattle up to Vancouver one time, lunch in Bellingham was capped with a tour of Western Washington University. And our days in Vancouver often included trips to UBC [University of British Columbia] and a tour of Simon Fraser. Portland visits had us touring Lewis and Clark College, and Reed College. Even day trips down to Santa Barbara incorporated a college tour or tours. Wherever we traveled, our ‘vacation’ included a college tour or tours. Not that I have any regrets in doing college tours. They are interesting, informative and give me a handle on what is happening on college campuses today. I also had the opportunity of joining Carolyn on a college counselor tour of gap year programs in Israel subsidized by an Israeli Student Organization and the Israeli government with my only having to pay for my airfare. I have joined her on other college counselor tours and have also done various college tours on my own. Eventually, I took and successfully completed the two-year University of California, Irvine Independent Educational Consultant Program. I now belong to several of the college counseling professional associations and over the past two years I gave seminars to high school students on the college selection, application, admissions process sponsored through the University of Miami. I wanted you to know another facet of what I am doing and make you aware of our book On To College.